Serving the Phoenix Metropolitan Area including Scottsdale, Tempe, Mesa, Chandler, Gilbert, Anthem, Cave Creek, Carefree, Apache Junction areas. Locations Current ballooning blogs and up to date information Phoenix, Scottsdale, Glendale, Mesa, Tempe, Chandler Arizona. Arizona Hot Air Balloons is the premier Arizona balloon ride service with multiple Balloon ride locations, Current ballooning blogs and up to date information Phoenix, Scottsdale, Glendale, Mesa, Tempe, Chandler Arizona. Also, Sedona and the high country in the northern part of the state. Arizona Hot Air Balloons is your one stop destination for your memory of a lifetime! South of the Bradshaw mountains. book your balloon ride AZ today! The Albuquerque International Balloon Fiesta is a yearly festival of hot air balloons that takes place in Albuquerque, New Mexico, USA during early October. The Albuquerque Balloon Fiesta is a nine-day event, and has over 500 balloons each year. The event is the largest hot air balloon festival in the world. We do suggest that you call and book well in advance, as these hot air balloon rides fill quickly. They are a sought out for the greatest experience and balloon basket space can sometimes be limited. Below will be some lists of balloon ride locations that we service. You can always call our motivated staff members at 1-480-282-8686 or you can always reach out to us on our balloon ride contact form. This just initiates contact and does not guarantee a confirmed hot air balloon ride reservation at any of our balloon ride locations. We look forward to sharing a memory of a lifetime with you! List of all the Arizona Cities we offer balloon rides for. Phoenix AZ, Tucson AZ, Mesa AZ, Chandler AZ, Glendale AZ, Scottsdale AZ, Gilbert AZ, Tempe AZ, Peoria AZ, Surprise AZ, Yuma AZ, San Tan Valley AZ, Avondale AZ, Flagstaff AZ, Goodyear AZ, Gilbert AZ, Scottsdale AZ, Carefree AZ, Cave Creek AZ, Fountain Hills AZ, Paradise Valley AZ, Litchfield Park AZ, Peoria AZ, Tubac AZ, Chandler AZ, Oro Valley AZ, Surprise AZ, Thatcher AZ, Valle Vista AZ, Buckeye AZ, Queen Creek AZ hot air balloon rides. 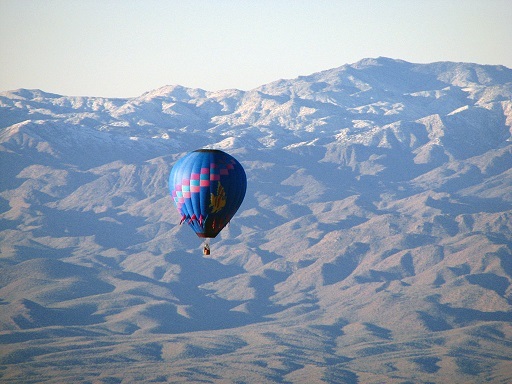 The above Arizona Cities are just a few that we service hot air balloon rides for. We can customize your hot air balloon ride in Arizona. Arizona is a land of opportunity, so to speak, with many people relocating there for lots of different reasons. With that in mind, it might be fair to refer to Arizona as relocation central, though it is much more than just a retirement community. The major cities of Phoenix, Tempe, Tucson, and Flagstaff are growing more so than most cities around the country. There are major hotels and lots of excellent restaurants in these major cities, with Phoenix quite obviously offering the best of these, since it is one of America’s largest cities now. Phoenix also has four major sports teams for entertainment, while it also features a host of different apartment and home options. One thing that you will constantly hear about Arizona is that it has great weather. Though many visitors worry about the heat during the year, they must recognize that it is a desert heat or more aptly, a “dry” heat. It’s not the type of heat that comes with unbearable humidity, so it is something that most people can handle. The job markets out west have not struggled as much as the ones on the east coast, and the school systems are typically considered quite strong in the big cities. As far as public transportation in Arizona, Phoenix has initiated a light rail to service its residents. People who are planning vacations to Arizona or are looking for information on moving there should take the time to look at our city and neighborhood reviews.